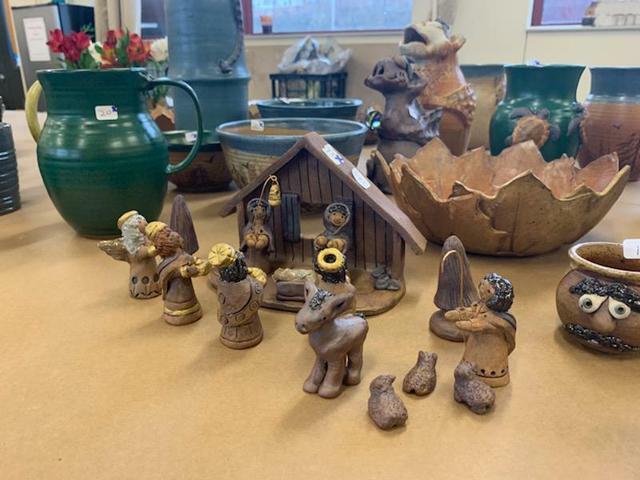 Lock Haven University held its 17th annual student pottery sale on December 13 and 14 in the LHU Art Annex. The sale featured 10 LHU students’ work as well as four local ceramic artists. As a result of this year’s sales, $620 was donated to local non-profit H.E.L.P. for Pets (Hardship Emergency Loan Program), which provides no-interest loans to individuals who have a pet that needs a medical procedure or surgery. An additional $84 was collected in the donation jar during the sale, for a total donation of $704.